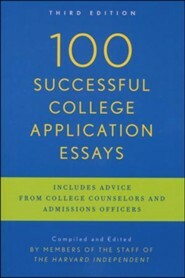 The largest collection of successful college application essays available in one volume. Compiled by members from The Harvard Independent, the weekly newsmagazine of Harvard University, this is an invaluable resource for students who want to write the best possible essayand improve their chances of admission to the best possible school. The Harvard Independent, founded in 1969, is Harvard Universitys undergraduate weekly newspaper. 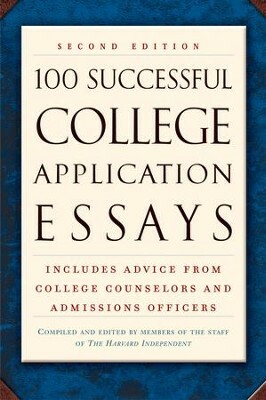 It is the oldest university newspaper in America, and the oldest weekly newspaper in Cambridge. 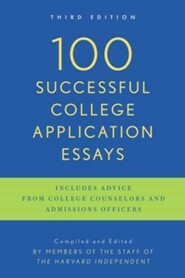 I'm the author/artist and I want to review 100 Successful College Application Essays (Second Edition) - eBook.